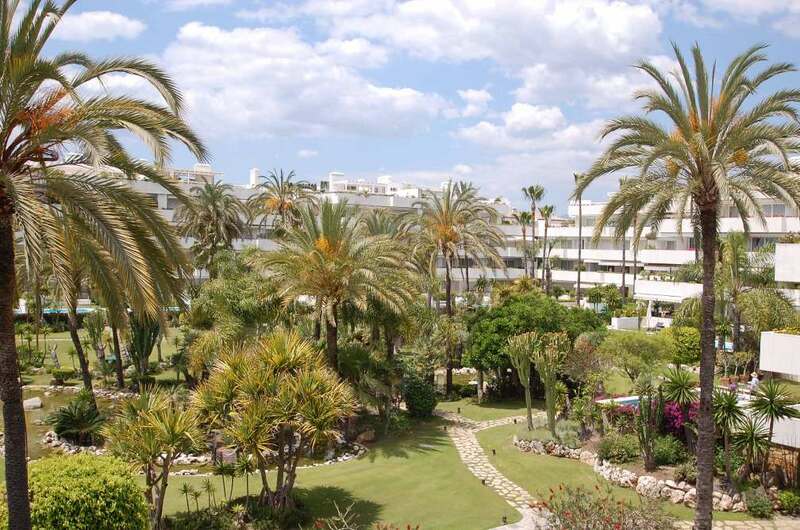 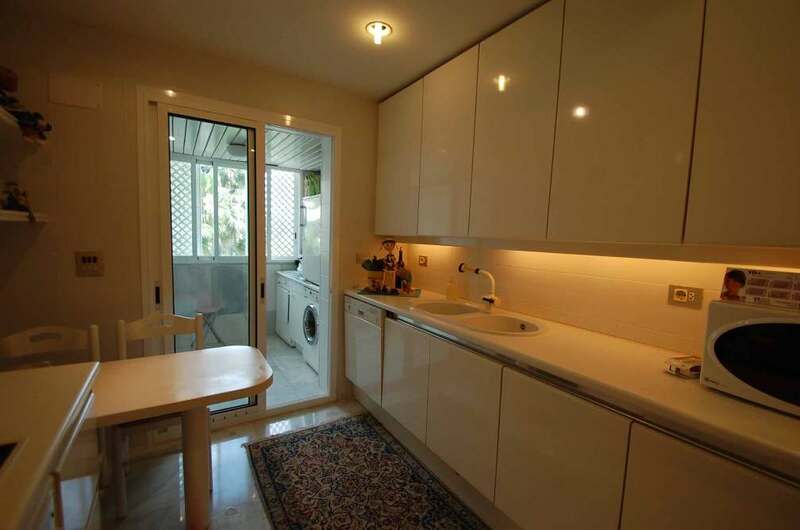 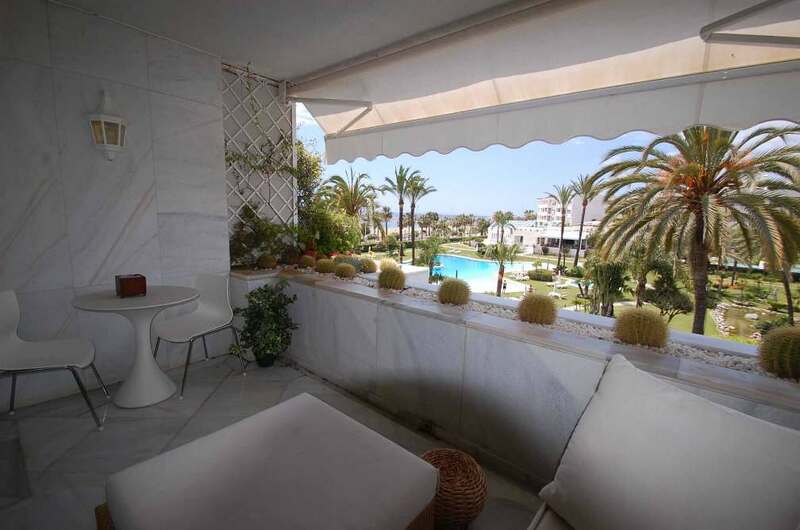 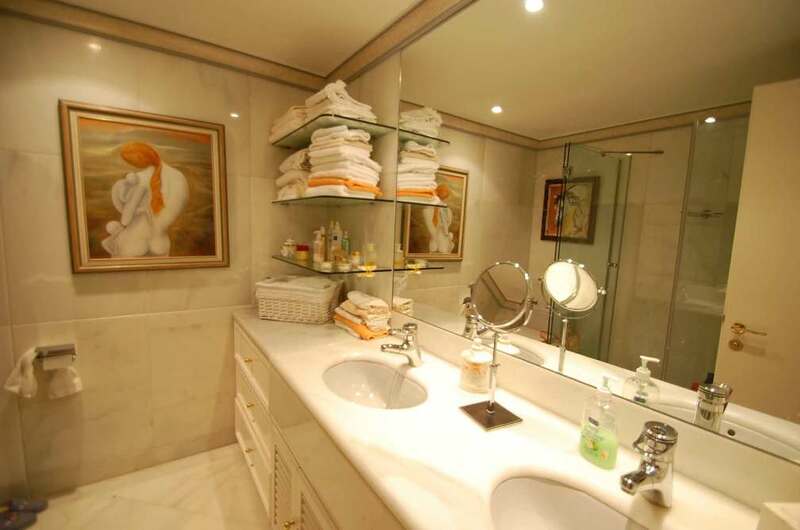 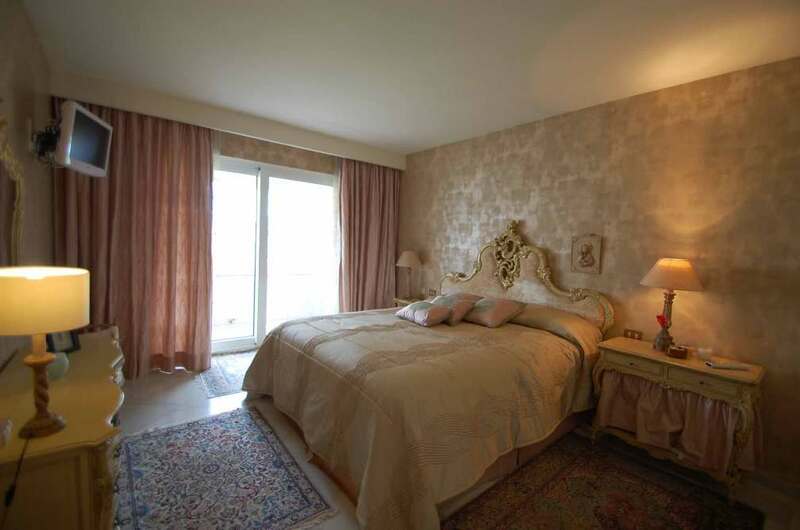 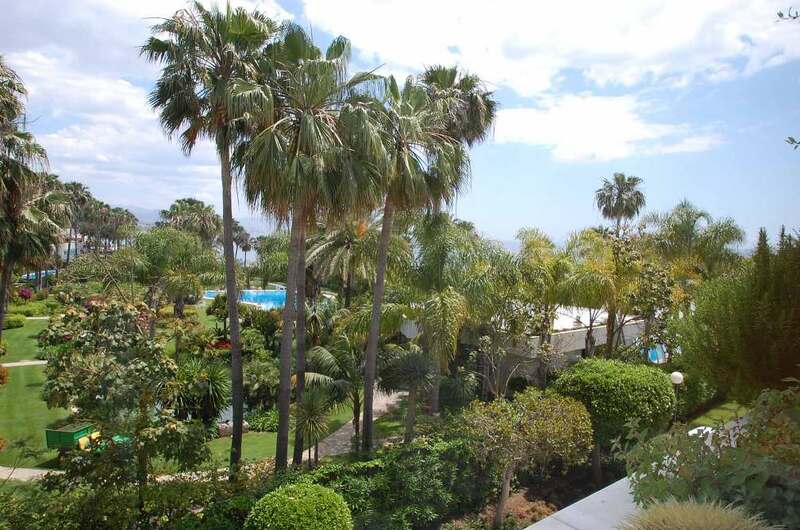 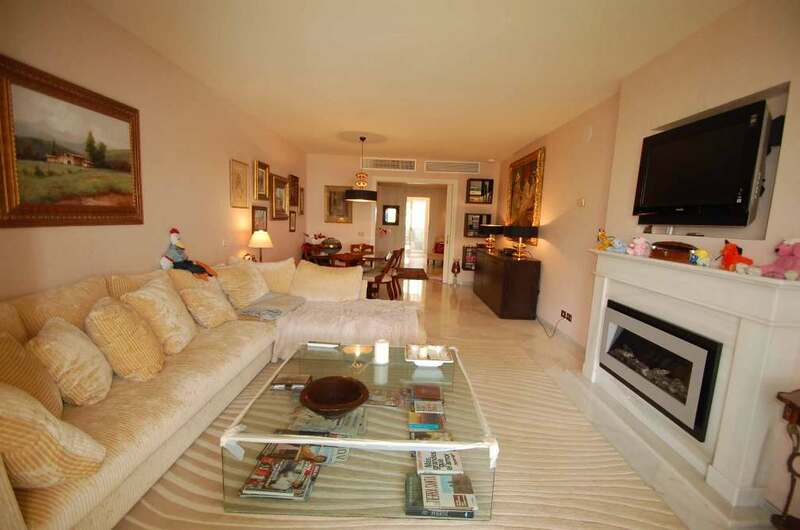 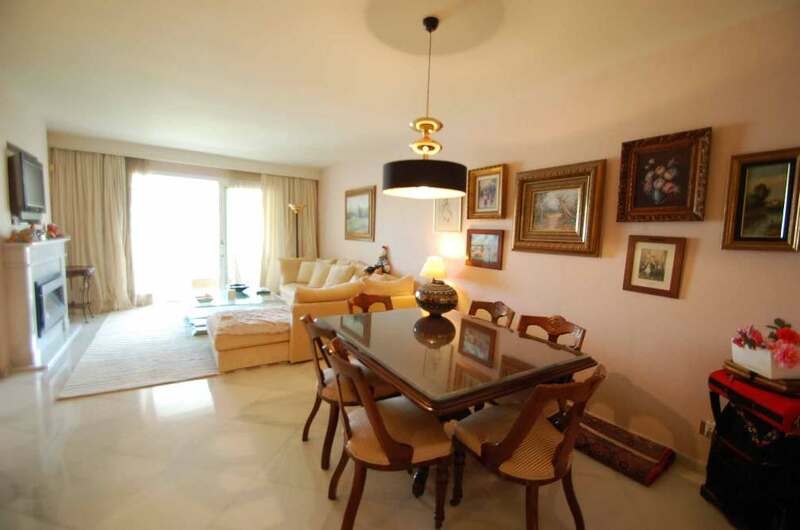 This beautiful one bedroom southwest facing apartment is located in a prestigious frontline beach urbanization in the heart of Puerto Banus. 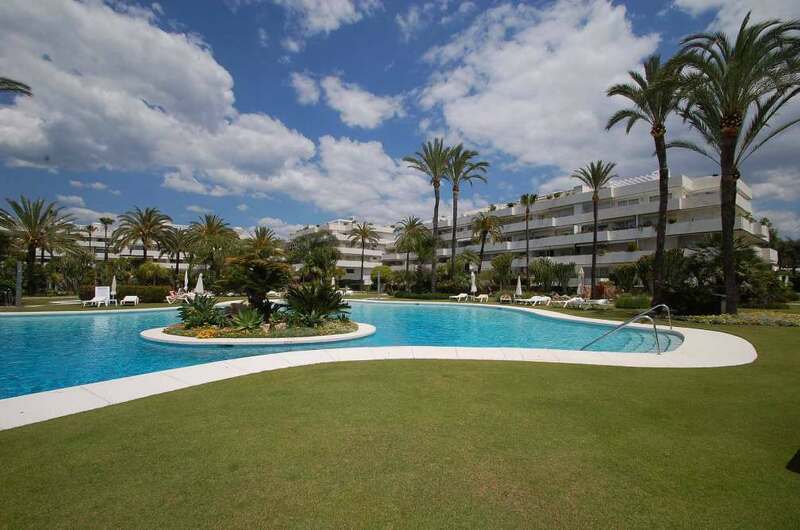 It has direct access to the beach, 24 hour security, fabulous communal gardens, swimming pools (one is heated) and gymnasium. 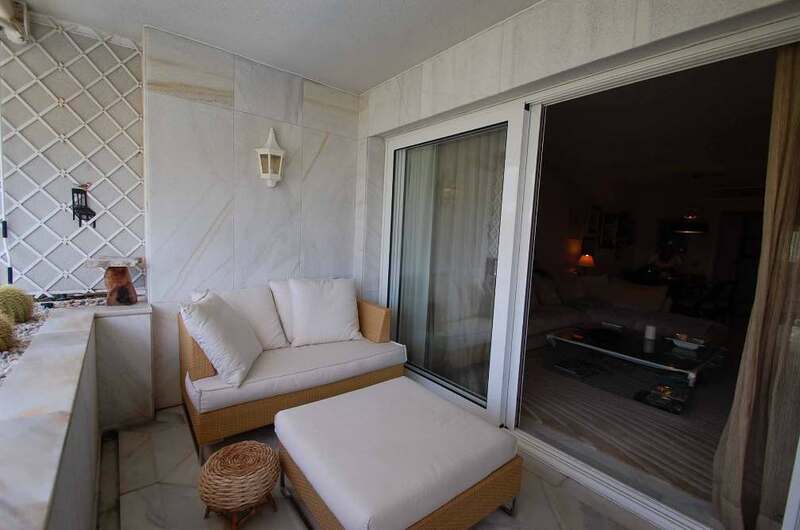 Other features include a spacious terrace with fantastic sea, garden and pool views, air conditioning hot/ cold, marble floors, fully fitted kitchen, laundry room, double glazing, electric fireplace, satellite T.V., alarm system, garage and storage.